Our installers are craftsmen who are detail-oriented and thorough. 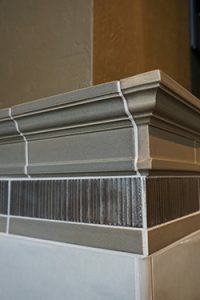 They determine the best installation method for each project – from traditional mud setting techniques to the newest underlayments, membranes and setting materials that result in the highest quality and longest lasting installation. Every project, no matter the size, is important to us, and our installation teams work closely with the showroom designers and clients throughout the installation process to ensure flawless installations and complete satisfaction. Our gallery showcases many of our exceptional tile installations.